I had a blood test and my Vitamin D Level is 23 ng/ml. Could that be the reason that I am constantly exhausted and even more depressed then normal? Yes, a Vitamin D Level of 23 ng/ml can make you tired, in pain and depressed. Getting your levels back up to an 'optimal level' of between 40 to 80 can really make you feel a lot better. But I suspect that there is more going on that with your fatigue and depression. The vast majority of people who are diagnosed with Vitamin D Deficiency ALSO have other nutritional deficiencies that have simply gone unrecognized. Depression and fatigue usually have more to do with MULTIPLE lifestyle factors and not JUST vitamin d deficiency. If you hear it, your body is speaking to you and telling you that you are not taking care of yourself as well as you should and it's giving you some warning signs to help you make some changes in your life. My vitamine D test had the score 26 ng/mL so Doc gave me dose 25000 iu twice a week. After five months my score went up 66 ng/mL so my Doc dropped the dose to 25000 iu once a week. My reacent score is 56 ng/mL how much I should reduce my dose or I should continue with 25000 iu once a week . Pl advice as my doc is not available. Your level of 66 was great, and your level of 56 is still in the optimal range, so you don't want to reduce your level any more. You would maintain your current dose to maintain your level. 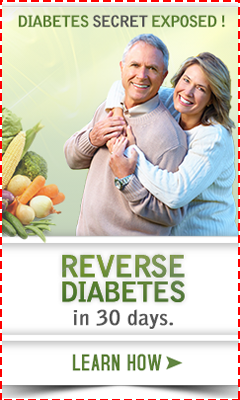 Since your current dose decreased your level, you don't want to take any less. You may even need to increase it a little, but just wait on that until you get your next level, which you should get in a few months. Be sure that you are taking Vitamin D3, and not a prescription Vitamin D.
2,000 isn't that too low to get it to above 50. Yes. 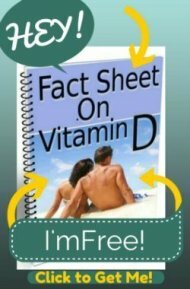 Please read the page on Vitamin D Therapy. Your doctor does not know what he is doing with Vitamin D, I'm sorry to say. 2000 IU's is a maintenance dose for a small child, not a dose that will increase levels in an adult. My vitamins d level was 23. My vitamins d level was 23 my MD gave me an rx for 100,000. I have been so tired and in pain. I was recently diagnosed with vitiamn low vitamin d and mine is 23 and my Dr told me to take 1000 mg but mine is in 400 IU so me taking 2 of them is that sufficient? My Dr told me to take OTC VITAMIN D3 1000IU everyday. I started taking it 2-1/2 weeks ago and I’m still feeling very fatigued and lightheaded, I feel like it’s not enough but he’s the Dr and I don’t feel right questioning his opinion. So I’m looking elsewhere for recommended vitamin D3 dosage. I had my vitamin d checked and it was 23. My doctor told me to take a multivitamin and she will re-check it in a couple of months. Everybody said that is crazy that I need to get a new dr. Please see my page on Vitamin D Therapy as I already mentioned in the thread.